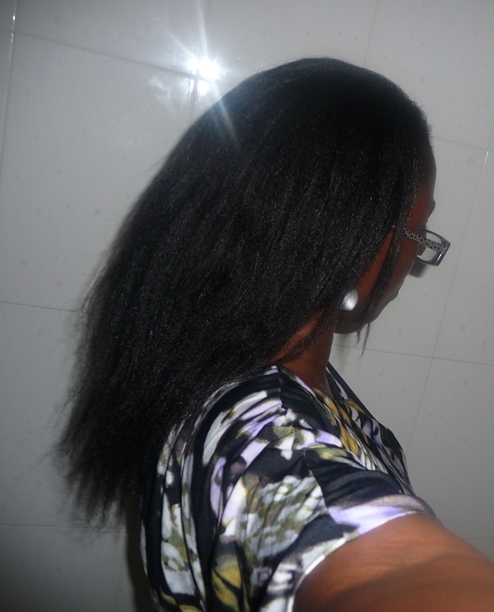 I’ve finally relaxed my hair after a 16 week-stretch. 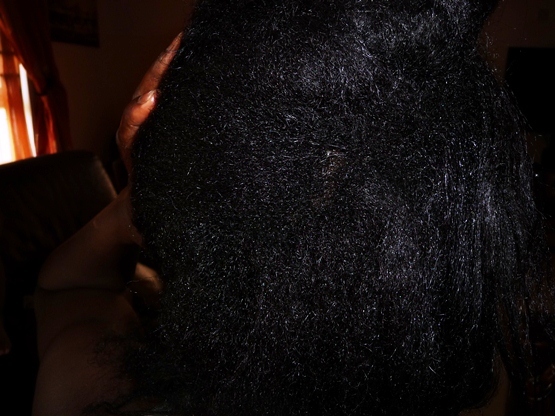 I described how I prepped for this relaxer in my post, Wash day: counting down to my relaxer. My last touch up was on June 25th 2012. 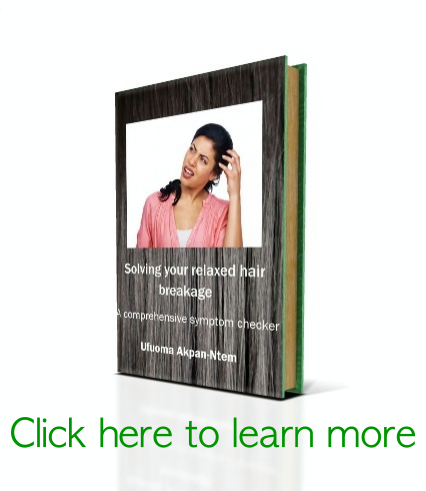 I did not self-relax because I don’t trust myself to apply the relaxer evenly. Maybe next time when I get my sprush. Ebony Princess (from Longing4length) and Jenijen (from Justgrowalready) have lovely posts and videos of how they self-relax. Check out their websites for more details on that. I saw someone with really nice looking hair last week and she told me about her hair dresser. I was happy to learn that she could come over to my house to help me relax my hair. On the relaxer day, I applied Avlon Affirm FiberGuard Preservo Strengthening Serum and GVP silk remedy to my ends. She detangled my hair with her fingers. Afterwards, she applied vaseline to my scalp in tiny sections. 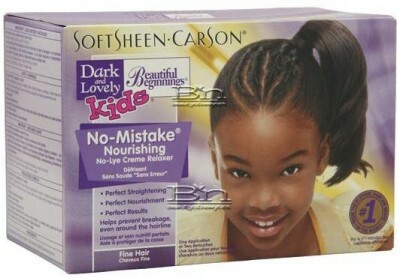 For my relaxer, I used Beautiful Beginnings No-Lye Relaxer Kit for Fine Hair . 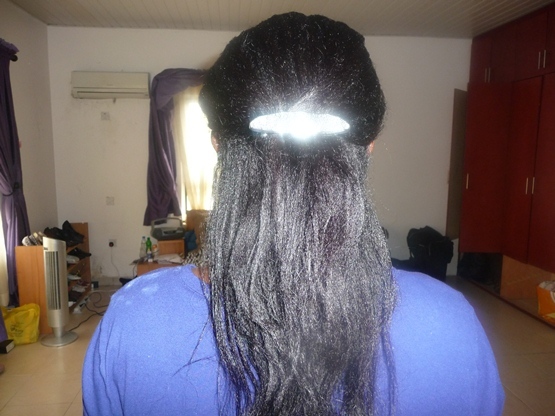 I was chatting with someone and didn’t realise that she had started applying the relaxer to the front. I was upset about this because my front hair is thinner than the hair at the back. 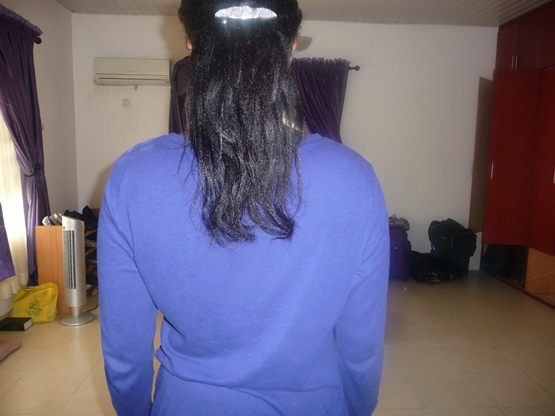 After applying the relaxer, she smoothened it out again and gently combed through my roots. (I’ve done this my entire ‘relaxing life’ and although I know this is wrong, I still find myself allowing it out of habit). 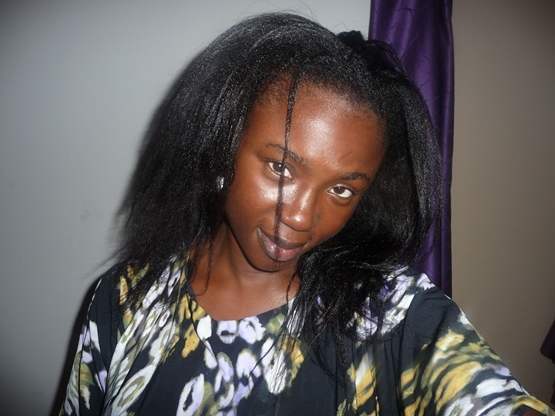 After reading Lush Strand’s waist length hair feature, I’ve decided not to do this anymore. Read her feature post HERE. here. Applied a mix of One ‘n Only Brazilian Tech Deep Penetrating Conditioning Treatment and Affirm FiberGuard Sustenance Fortifying Treatment. The Brazilian Tech conditioner has keratin while the Sustenance Treatment has ceramides. These 2 compounds are broken down when you apply relaxers to your hair. I figured that it would be a good idea to add them both. I left this conditioner mix in my hair for two minutes. Used the Neutralizing shampoo that came with the kit. Rinsed it out. Repeated two more times. Did a final wash with Pureology Purify Shampoo (that shampoo dries the heaven out of my hair…I’m going to look for a new chelating shampoo). I used this shampoo because No-lye relaxers (i.e your regular box kit relaxers) usually leave a calcium deposit on your hair. Chelating shampoos help to remove this deposit. 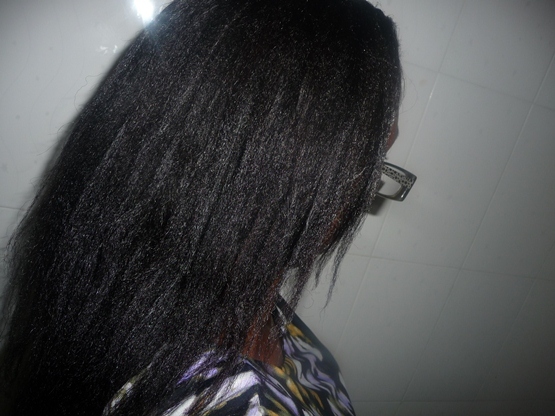 Applied Silk Elements Kera minerals deep conditioning treatment. Left it in for 5 minutes and detangled in sections,starting from the ends and working my way up to the roots.… I was going to leave the conditioner in for longer but I was too anxious to see how my hair turned out. I was also expecting a guest. Applied Roux Porosity Control Corrector and Conditioner. Rinsed it out after 1 minute. I used this to ensure that my hair was back to the right pH. Next, I applied Herbal Essences Touchably Smooth Split end protector followed by GVP silk remedy. 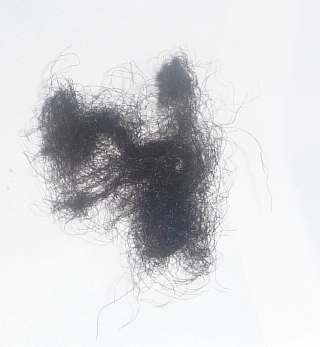 I blow dried my hair and I lost some hair: this made me a little sad. I didn’t trim my hair: I will do that next week when I flat iron my hair. 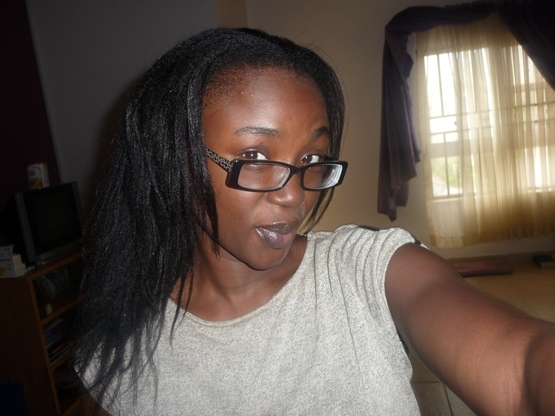 My ends are thin and I know that I need to trim them off: I’m afraid though because I will lose some length if I do. 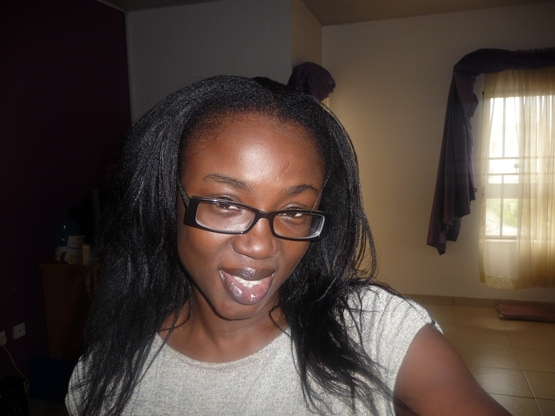 The following morning, I noticed that the hair around my edges looked shorter and not really straight. I don’t know why. Besides this, my hair turned out okay: it looks straight but not bone straight..Flat but not too flat… and there is an increase in length!! 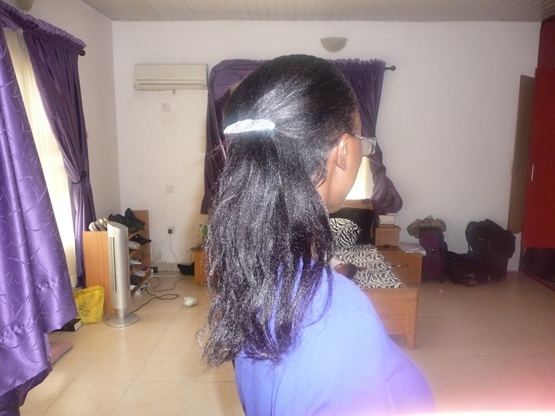 Will do a proper length check soon. By the way, any ideas for a chelating shampoo that doesn’t dry out hair? Your hair has grown and it looks so healthy. A lot of people have thin and lifeless hair right after retouching, yours looks nice and thick. The hair dresser did a good job. Love it. Thanks darling.. The lady really did a great ! Great results, and thanks for the shoutout. 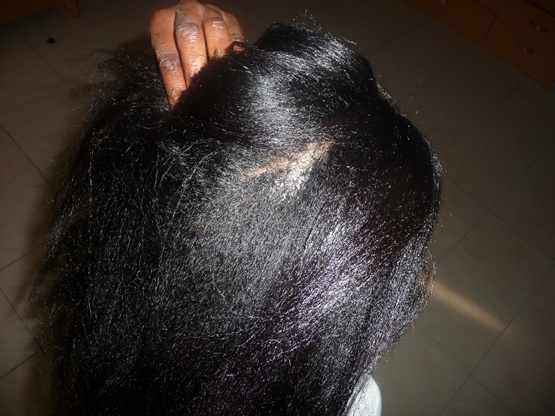 I have never seen (or paid attention to) that relaxer…great results! Thanks for the compliments. Neither have I ever seen it until I googled low pH relaxers. Hmmm… I like that your hair doesn’t have that limp look that hair usually has after a relaxer… I was thinking that lye relaxers have a lesser pH than no- lye, so, why don’t you make use of it? 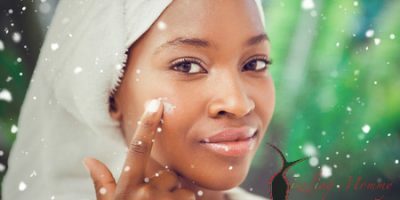 By the way, your skin looks so good, considering your complaints about acne! 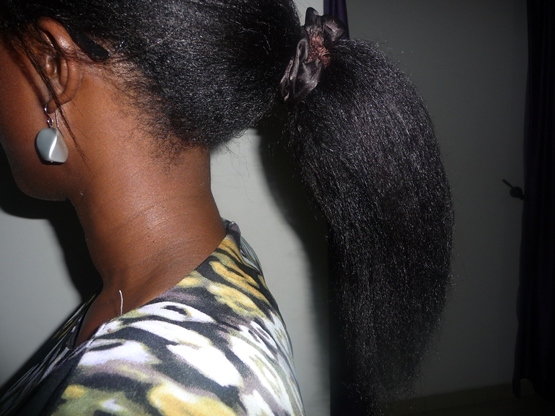 No on the contrary, all relaxers have higher pH… it doesn’t matter whether it’s lye or no-lye. It depends on the manufacturer’s choice. That’s why I chose this one which has a pH of 10.25. Thanks for the compliments on my hair…and my skin… I don’t have acne anymore. It was in the past: I dealt with it. you can try organic root stimulator creamy aloe shampoo. It’s a chelating shampoo and it doesn’t leave my hair feeling stripped. Thanks Sasha. I will try it out next time.